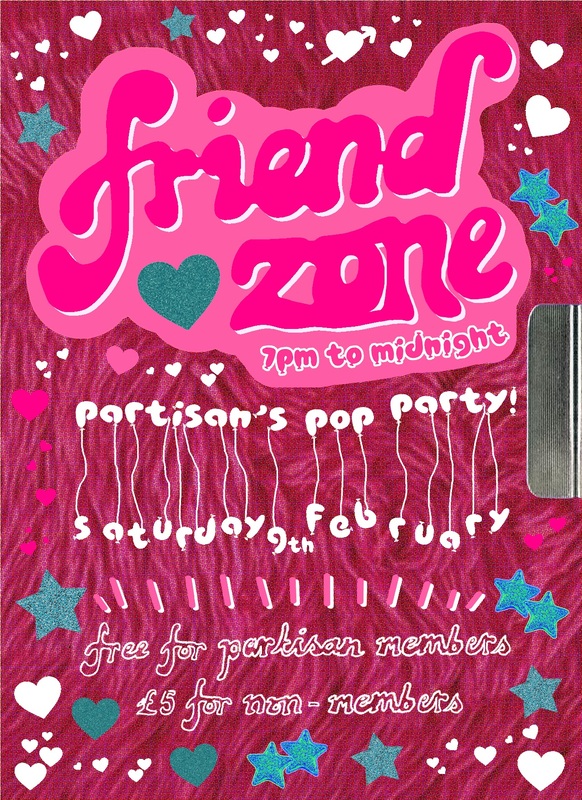 FRIENDZONE is Partisan’s brand new pop music party!! ? ? ? ? ? The very best of pop music – from the classics to the latest bangers. Spice Girls / Beyoncé / Talking Heads / Janelle Monae / OutKast / ABBA / Lorde / Rihanna / Madonna / Ariana Grandé / Justin Timberlake / Chic / Sean Paul / Charlie XCX / Black Eyed Peas / Avril Lavigne / Diana Ross / Robyn / Arctic Monkeys / Dua Lipa / Eurythmics / Britney / Michael Jackson / Jay Z / Girls Aloud / Lady Gaga / Fleetwood Mac / Nicki Minaj / Kate Bush / Kanyé / Whitney Houston / Lily Allen / Mac Miller / Prince / Cardi B / Estelle / Scissor Sisters / Kate Bush / La Roux / The Smiths / Little Mix / Queen / Lana Del Rey / Blondie / TLC / P!nk / Lauryn Hill / One Direction / Missy Elliott / SOPHIE / Gwen Stefani / David Bowie / Mis-Teeq / Taylor Swift / Sean Kingston / J Hus / Estelle / Jamie T / FKA Twigs / Wham! / Sugababes / & MUCH MORE! In a wholesome club with a safer spaces policy (creeps not allowed!) ? +++ with SPEEDFRIENDING at 7pm for those who want to make new pals ? ? ? ? ? ?